Lake Pyhäjärvi is famous for perches ower one kilo. More common catch are these kind of normal ones. 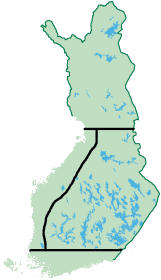 With a surface area of 155 square kilometres, the limpid Lake Pyhäjärvi in Säkylä is the largest basin in the topographically flat Southwest Finland. Also dubbed the ‘Jewel of the Satakunta Region’, the lake is known as one of the richest treasuries of fish in Europe, where commercial fishermen’s primary target species include vendace, whitefish and signal crayfish. The lake is also a popular and bountiful site for rod anglers. 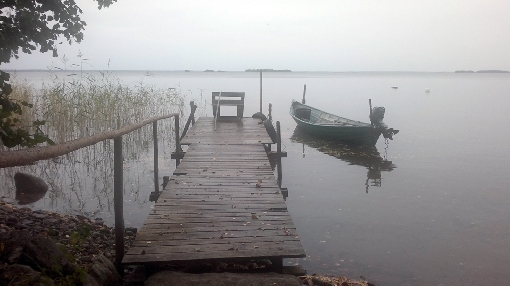 Lake Pyhäjärvi is characterised by the scarcity of islands. 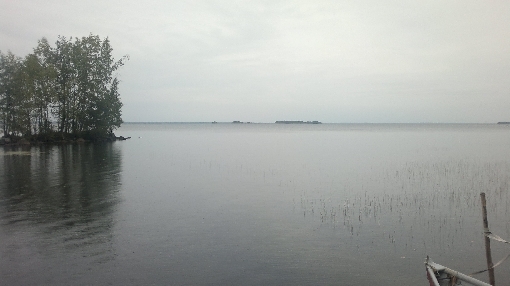 As winds may have as much as about 25 kilometres of unhindered passage to race, which is more than on any other lake in Southern Finland, the waves may rise to dangerous heights. This should be borne in mind when out in a boat. Another characteristic that has a major bearing on fishing is the lack of distinct bottom contours, which makes it somewhat difficult to find hot spots. Most of the lake area falls within the 3–6-metre depth zone, while depth variations are very gentle. There is only one oblong, fairly steep-sided depression on the west side of the lake, where the bottom plunges as deep as over 30 metres. 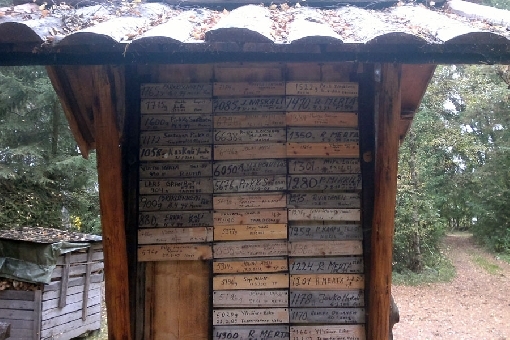 On Lake Pyhäjärvi in Säkylä, your lure may even catch a pike just shy of ten kilos. 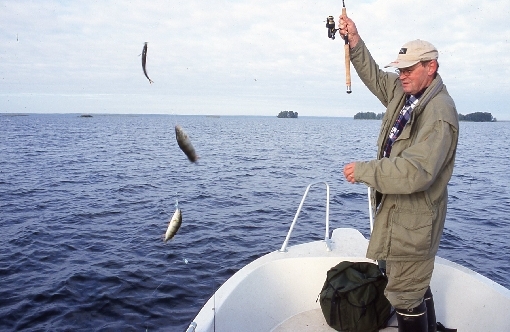 In angling circles, Lake Pyhäjärvi is especially renowned for its perch, the plumpest weighing well over a kilo. Of course, such whoppers are relatively rare, but they are still much more commonly found here than in most Finnish lakes. This is thanks to the good nutritional situation; there are plenty of vendace and smelt for perch to feed on. 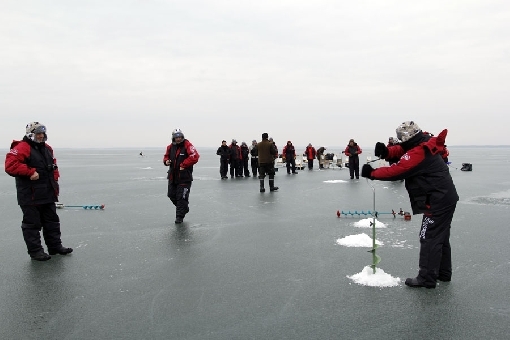 You can catch big perch especially by ice-fishing in winter. Instead of going after these stripers close to the shores, you should head to mid-lake areas, sometimes at quite a long walking distance from the shores. 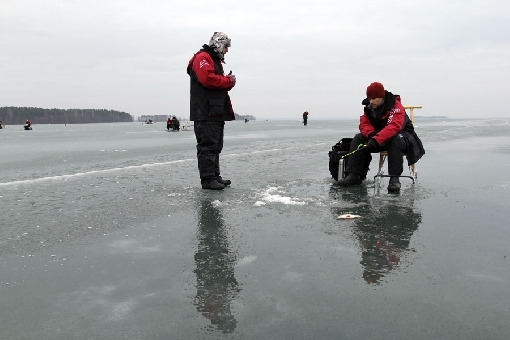 In proper ice conditions, many people also move about on the ice in a car or snowmobile – watch out for cracks though. You can usually find the fish in mid-lake areas at 4 to 6 metres. Balanced jigging lures work at peak feeding times, while mormyshka jigs do the trick when the fish are reluctant to bite. Lake Pyhäjärvi can be calm. When it is windy, waves can be high on the wide open lake. In the summertime, flocks of seagulls are often used to seek out perch. Where seagulls are hitting the water, that’s where perch are in hot pursuit of small fish. An angler casting a jig, a spinner or a small plug amidst that commotion can be sure to get a bite. 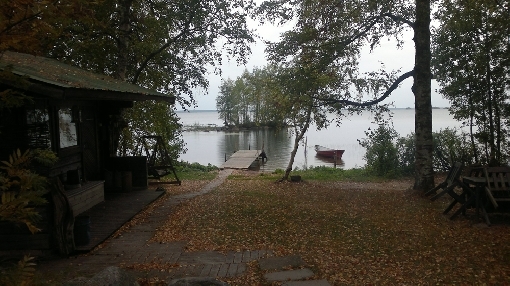 Lake Pyhäjärvi is also an excellent pike lake. The best way to find pike is by trolling along the edges of banks at mid-depth or close to the bottom. 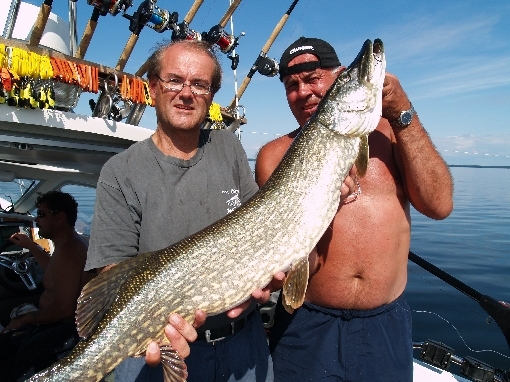 Pike sometimes cram into confined areas, where you can make a huge catch even within a small sliver of water. What’s more, the fish are a good size – even a ten-kilo specimen is not beyond reach. An echo sounder and a chart plotter are valuable aids during the open-water season. Trolling is the most reliable way to get hold of pike and brown trout thriving in mid-lake waters.